iPrint notifications stating print jobs sent to virtual queues have been canceled are not unexpected behavior since PaperCut is “canceling” the job by moving it from one queue to another. You can disable these notifications for the iPrint client. 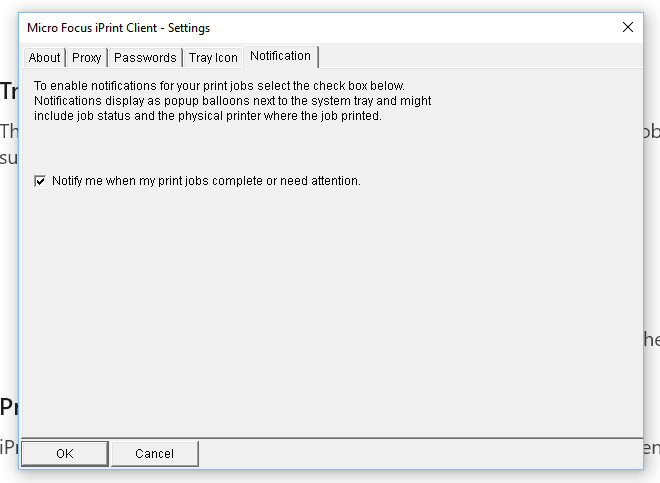 Click Start > Programs > Novell iPrint > iPrint Settings > Notifications. Select the check box to enable the job notification.